Legally speaking - in this guide, I will tell you what I do, I am by no means suggesting that you follow my example. This is Part II of "Good Looking Loser's Hair Loss Prevention Guide". This page offers a protocol to prevent (or slow down) Male Pattern Baldness and not break the bank. It is the base protocol that I have used since ~2007 but recently added to which we will discuss in Part III "MAXIMUM Hair Loss Prevention". If you haven't done anything to slow down your hair loss - this will help tremendously. This portion and the entire "Hair Loss Prevention Guide" is subject to our Medical Disclaimer. This is for educational purposes ONLY and should be followed if approved by a physician. History of "Hair Loss on a Budget"
This is the basic stack that I have recommended for guys to show to their doctor for 3+ years at HairLossFromSteroids.com and on YouTube Channel (defunct). My doctor approved it for me back in 2007. It's referred to as "The Big 3" in the hair loss prevention community but I use the generic substitutes to make it way less expensive. It cost me about $1.33 a day. If you haven't used these 3 compounds concurrently on a daily basis - you can expect your hair loss to significantly subside. You will see noticeable results in about 3 to 5 months even though it will start working immediately. Some guys may experience a "shedding" period of about 3 to 6 weeks when they begin this protocol. This is normal and a sign that the treatments ARE working. 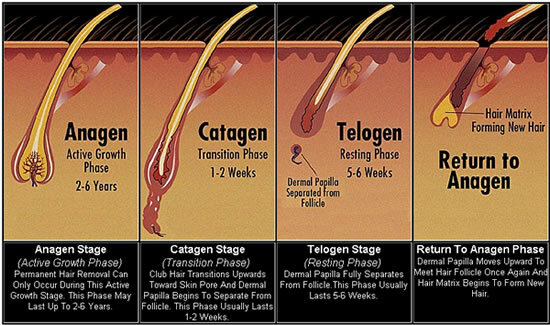 Some of the treatments accelerate your hair cycle and may cause a temporary shed. You will grow back the lost hair in about 2 months. This stack is for prevention but some guys will notice some regrowth. It is the most powerful, least expensive hair loss prevention solution on planet earth. costs $0.98 a day if I get 90 tabs, cut them in half (2.5mg) and take 1 every other day. costs $0.12 a day if I buy the 12-month supply. costs $0.23 a day, assuming 4 bottles lasts me the entire year, which is realistic if I use it every other day. * You can also purchase an inexpensive pill cutter on Amazon.com or at your nearby drug store. Lets talk about what these treatments do. Speak to your physician before trying these solutions or anything to stop your hair loss. Most general practitioners (or dermatologists) have no problem prescribing Proscar/Generic 5mg Finasteride (instead of brand-name Propecia). Proscar lowers the body's production of Dihydrotestosterone (DHT), the hormone that causes hair follicles prone to Male Pattern Baldness to thin. By decreasing the amount of DHT in the body, far less DHT will attach to the hair follicles and cause thinning. Once DHT levels are decreased, it gives hair follicles (that might otherwise thin or prematurely shed) a chance to grow to their full potential. This can result in regrowth or the appearance of regrowth. We explain this process in our comprehensive writeup on Finasteride. We explain how Finasteride works, why it works, my personal experience and other advanced issues including the potential for side effects and the limitations in preventing hair loss from anabolic steroids. Although not everyone will experience noticeable regrowth, the vast majority of guys will see a significant decrease in the amount of hairs that shed (and proceed to thin) on a daily basis. Unfortunately, to my knowledge - no insurance providers will cover the costs for a prescription of Finasteride. Male Pattern Baldness is considered to be a "cosmetic" issue. Brand-name Propecia costs about $69 a month. Generic Proscar (some insurance covers this if prescribed for BPH) costs about $12 for 45 days worth. As Dr. Paul McAndrews from the American Hair Loss Association notes, Finasteride is your #1 weapon against Male Pattern progressive Androgenic Alopecia. It is the ONLY MEDICATION that is clinically proven to prevent hair loss. My doctor (and most hair restoration surgeons) recommend 2.5mg every other day or 1.25mg every day. I cut the 5mg Generic Finasteride tabs in half (2.5mg each - take every other day). I used to cut the 5mg Generic Finasteride tabs in fourths (1.25mg each - take every day). I have done both and there was no difference. This is the Generic Minoxidil that I recommend. It's the kind I've used for my various Minoxidil experiments. All the generic Minoxidil formulas are about the same. 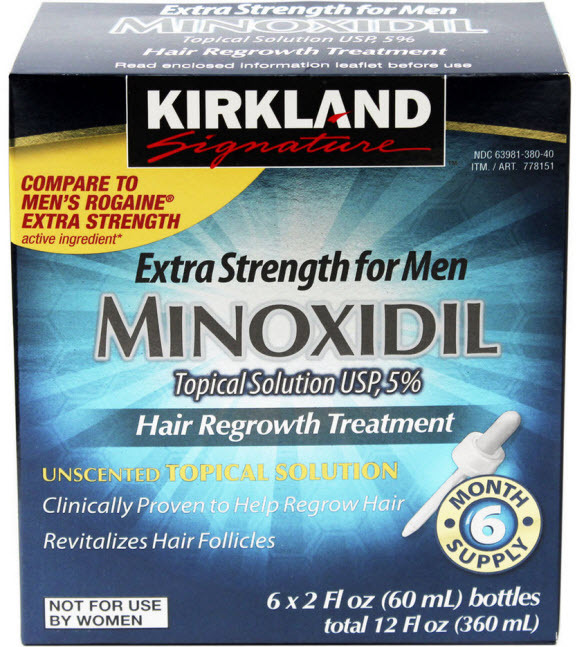 The primary difference between Generic Kirkland Minoxidil and the higher-end formulas is that the Generic is definitely "oily" and takes about an hour to dry. I can't really go out with it on my head or style my hair after applying it. I used Minoxidil sporadically throughout my 20's. I thought it was completely overrated. Sometime in my mid-20's I read this study published by the "International Society of Hair Restoration Surgery" and I changed my mind. 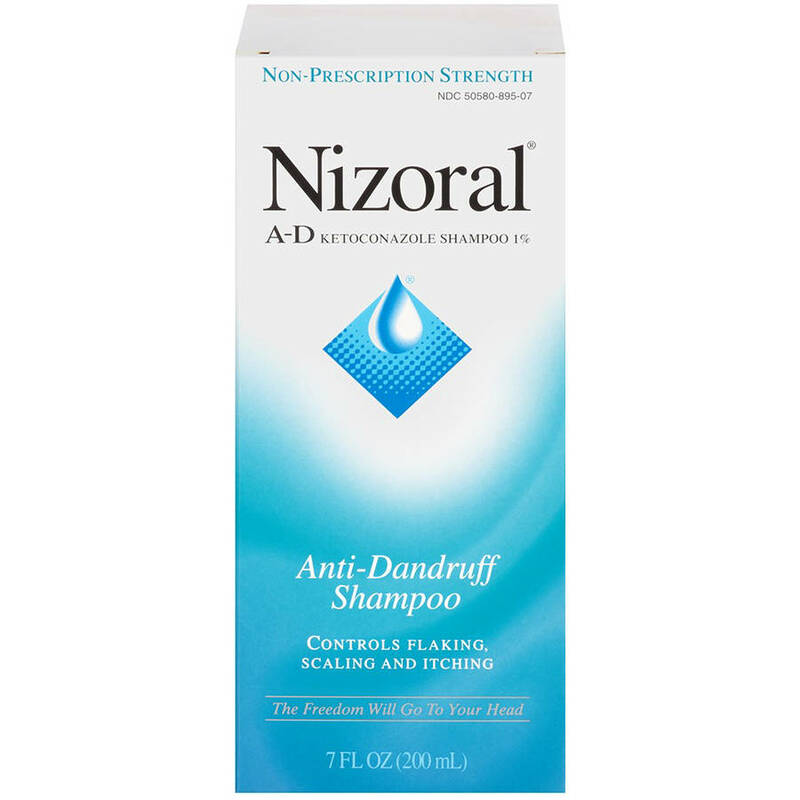 The study suggests that using Minoxidil may decrease hair loss [in the shower] by up to 50%. Men who used 5% Minoxidil on a daily basis for an entire year lowered their hair loss from washing (when showering) from an average of 69.7 hairs to 33.8 hairs. Men who didn't use Minoxidil experienced increased hair loss or maintained their current rate. Since I see the vast majority of my hair loss when showering, I decided to hop back on the Minoxidil bandwagon. Sure enough, the amount of hair loss I would lose in the shower noticeably decreased. Every so often, when I go on a vacation or don't use Minoxidil for a week, I see more hair loss in the shower. I'm convinced that Minoxidil is a big helper. It may not be the "miracle" that Rogaine (brand name) claims it is - but that doesn't mean it's useless. It's actually quite helpful IF used on a daily basis. I apply 1ml of Minoxidil to thinning zones every day to clean, dry hair and let it dissolve into the scalp. There's one more compound that is clinically proven to prevent hair loss. Ketoconazole was originally meant to treat moderate to severe cases of dandruff. It just so happens that it helps prevent hair loss as well by inhibiting the synthesis of testosterone to DHT. Ketoconazole is as effective as 2% Minoxidil in the long-term treatment of Androgenic Alopecia. A more recent study by Japanese scientists published in the "Journal of Dermatology" found that Ketoconazole can actually stimulate hair growth but the mechanism behind the growth is unclear. There's a couple Ketoconazole-based shampoos out there. While Ketoconazole helps keep DHT from eating your hair, it's far less effective than Finasteride. Some guys can prevent hair loss by just using Ketoconazole but the vast majority will need Finasteride. Don't expect Ketoconazole (as a standalone) to be strong enough to totally stop your hair loss. I use Ketoconazle every other day and leave it on my scalp for 5 minutes. 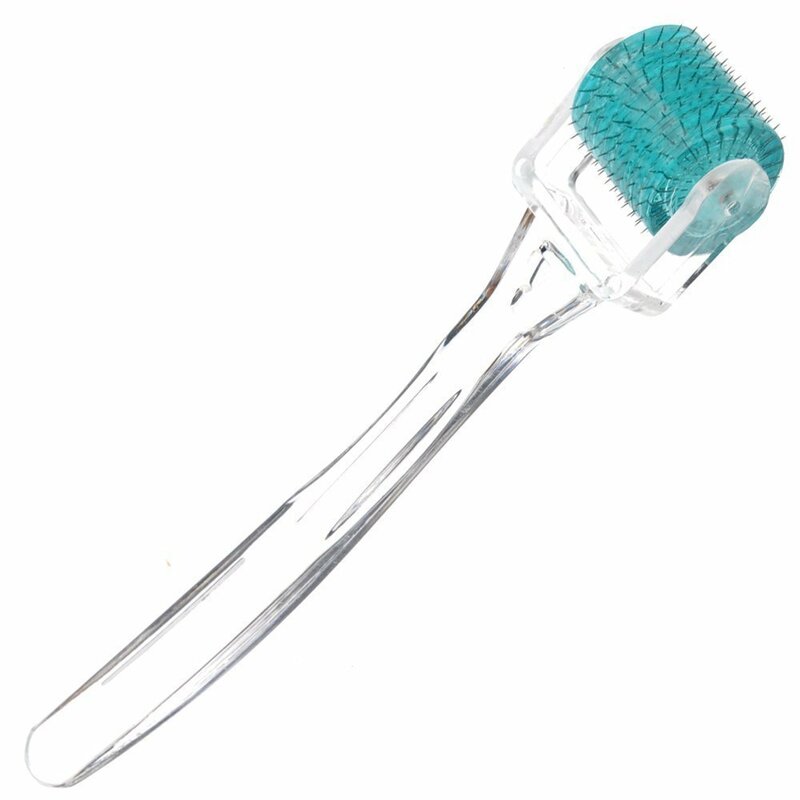 This inexpensive little device will help increase Minoxidil absorption. As I said, there's not that much difference between the Generic Minoxidil and the higher-end brands, but the more expensive solutions usually have a few ingredients that might help them absorb a little better. If you are using Generic Minoxidil and are concerned that it's not getting to your hair follicles, just roll this over your scalp (as directed) and stop worrying. I recommend the 1.5" needles because they REALLY seem to get in there. It might take a little getting used to, it's a bit uncomfortable at first, but I feel it's way better than the 1" needles that barely feel like they do anything. You may slowly learn to love it. It FEELS like you are really putting pressure on your scalp hairs to GROW. After getting out of the shower and drying my hair, I run the Microneedle over my scalp and then apply Minoxidil. You could also use it before you shower and put the Ketoconazole shampoo on your head. Here's a video from 2012 when I started using the Microneedle. Our version of The Big 3 (+ 1). Instead of wasting my money on worthless dietary supplements and college textbooks in my 20's I wish I had just spent the money to use this stack on a daily basis instead of using it sporadically. The Big 3 is a lifetime commitment. They need to be used on a daily basis. If I stop using any one of them (especially the Finasteride), within 7 to 10 days, I will have an increase in hair loss while showering. If you haven't done anything to slow down your hair loss, you should notice a substantial improvement within about 4 or 5 months. As mentioned - speak to your doctor before beginning this hair loss prevention protocol or any other. This is just the base protocol I have followed, not medical advice. "How to Prevent Hair Loss No Matter What - the Maximum Procotol (Part III)"